The Mexican national soccer team got an attractive opponent Thursday for its June appearance in San Diego -- Copa America reigning champion Chile. 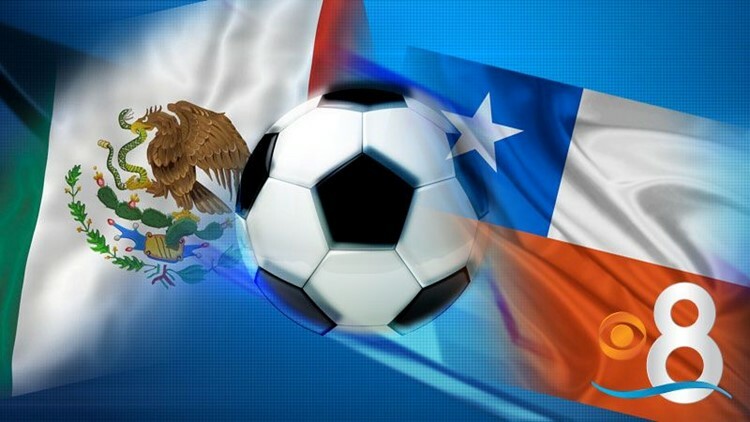 SAN DIEGO (CNS) - The Mexican national soccer team got an attractive opponent Thursday for its June appearance in San Diego -- Copa America reigning champion Chile. The June 1 match at Qualcomm Stadium will be the third and final game of Mexico's annual U.S. tour, and will serve as a tune-up for both teams for the Copa America Centenario, which begins June 3 at venues around the U.S.
Chile features stars like FC Barcelona goalkeeper and national team captain Claudio Bravo, Arsenal forward Alexis Sanchez and Bayern Munich midfielder Arturo Vidal. The high-powered lineup could raise more fan interest than the last time Mexico played in Mission Valley, a 4-2 victory over Finland that drew less than 25,000 fans. Three years earlier, a match between Mexico and Venezuela drew attendance of almost 61,000. Mexico's U.S. tour started Feb. 10 with a 2-0 win over Senegal in Miami. "El Tricolor" will take on Paraguay May 28 in Atlanta.